Eisenberg de Saude is South Africa’s influential immigration law firm, founded by partners Gary Eisenberg and Stefanie Marie de Saude. 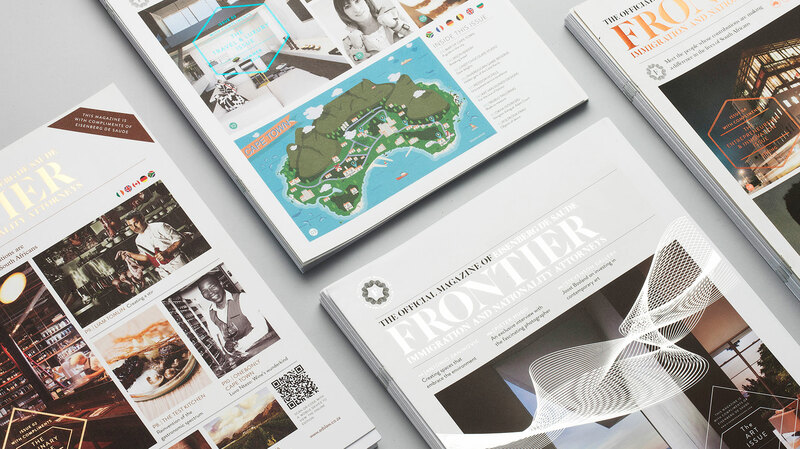 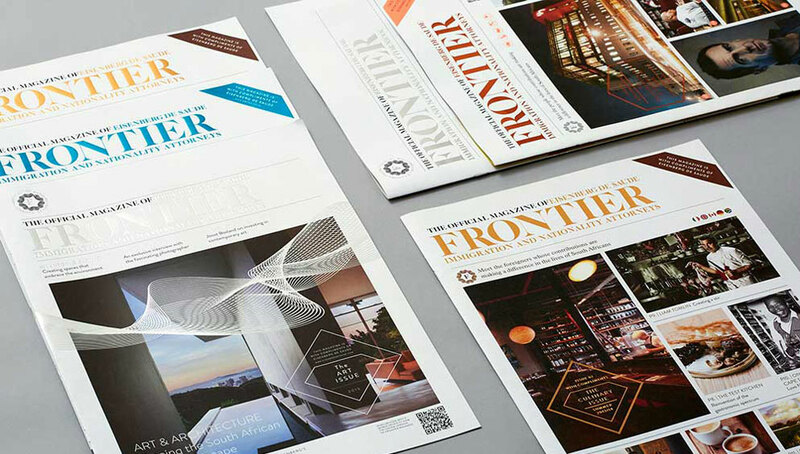 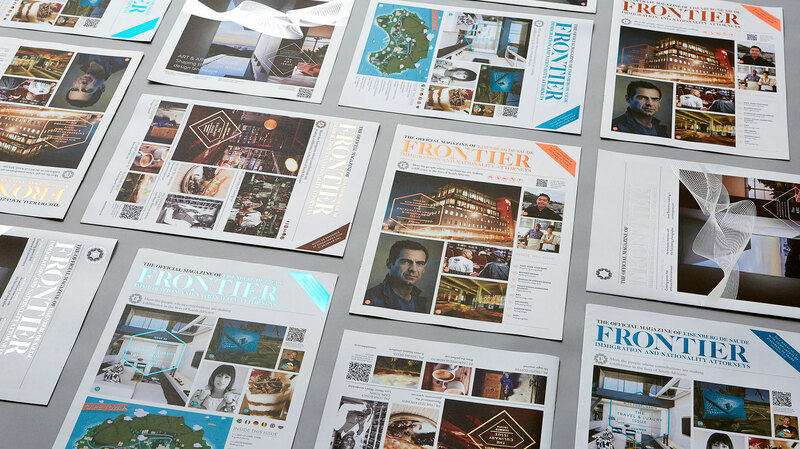 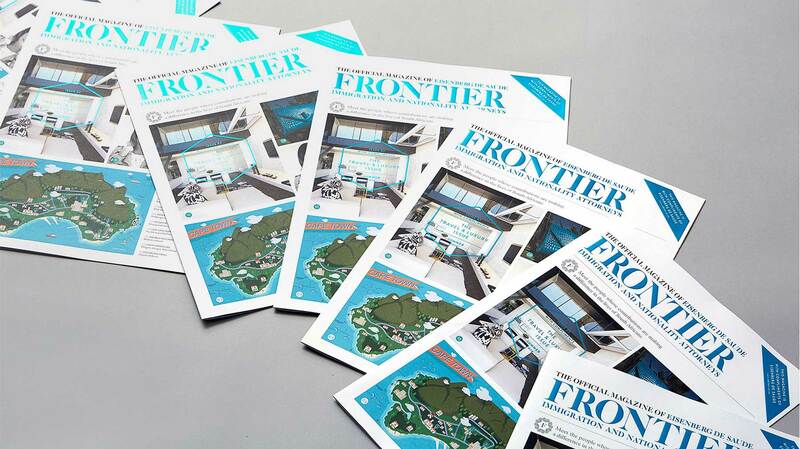 Frontier is a custom publication produced by Pure Creative to convey how the immigrants supported by Eisenberg de Saude have contributed to Cape Town. 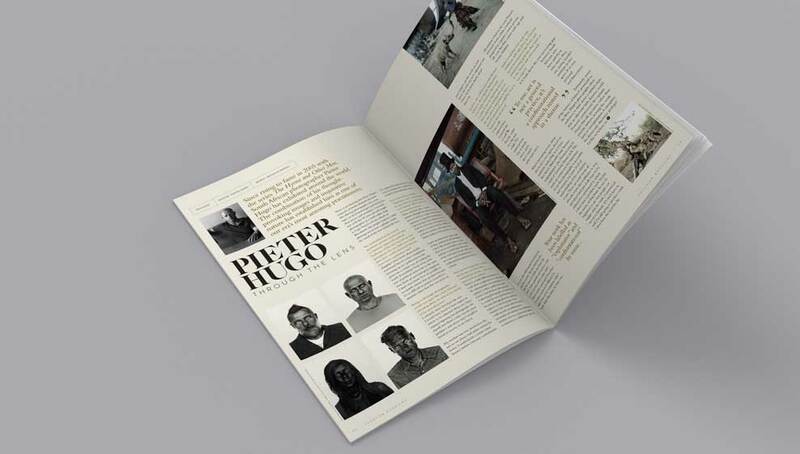 The large format publication features exclusive interviews with accomplished Cape Town expatriates and is designed to look at home in the chic coffee shops where it is distributed. 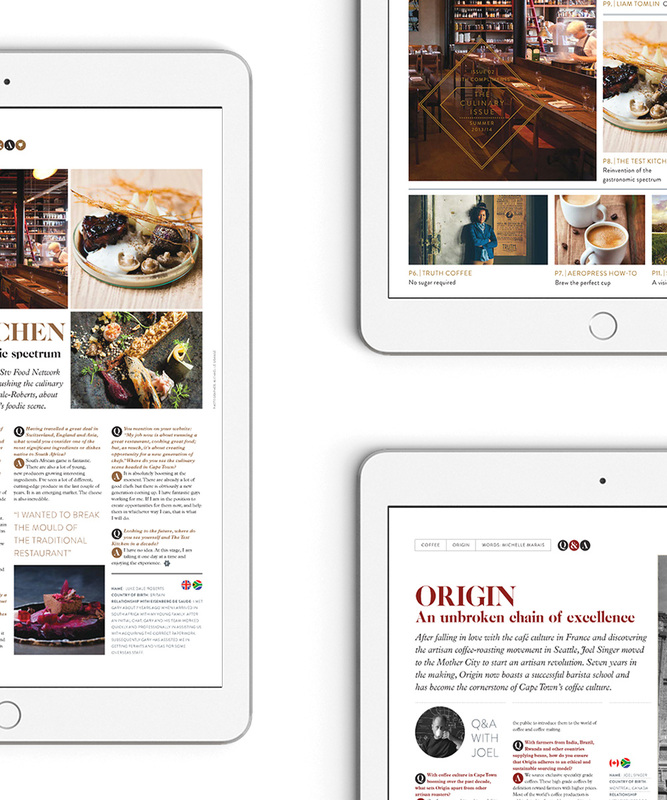 It includes valuable insight into diverse areas of Cape Town life, from charity workers to arts mavens, standing as a lifestyle publication on its own.